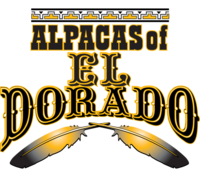 2017 was a banner year for Alpacas of El Dorado. 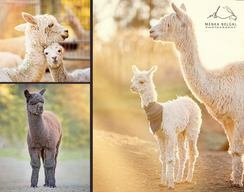 We had over 13 exceptional cria born to the farm. Many of which we showed and were very pleased with our team. We also had a great sales year. 15 of our Suri and Huacaya went to new farms. We invested in many outside breedings to both Huacaya and Suri and cannot wait for the offspring. 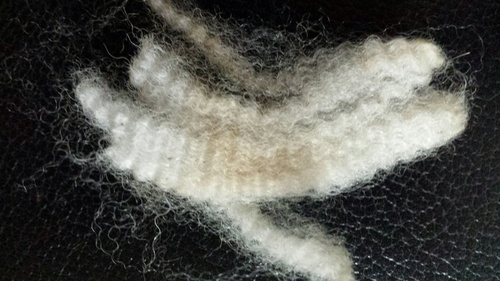 4 of which were born in 2017. We cannot wait to show them to you in the show season. We decided to invest more into our products for sale in 2017 and Sock Sunday was born. 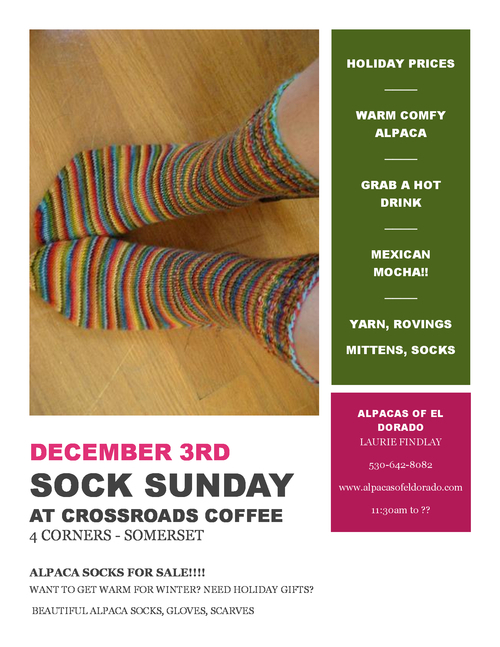 Laurie took our beautiful alpaca socks, clothing, yarn and rovings to the local coffee shop. And boy did we have a sale!! So much so that we had to order more inventory to keep up with the demand. We are looking forward to adding our socks to our online store just for you. 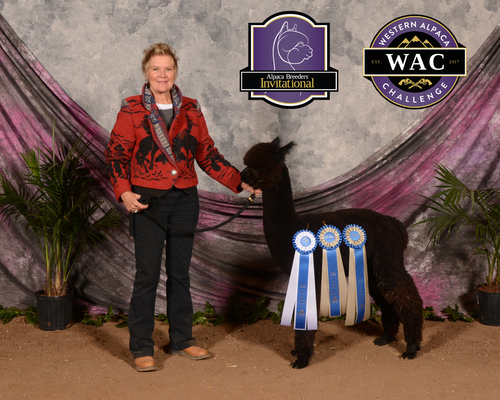 We were very blessed this year with healthy and happy alpacas, gentle births, and a wonderful show season. For the very first time we have entered an alpaca in the Amber Auction in February 2018. We are so excited to present a bred suri female that we would have used to further our herd and genetics. 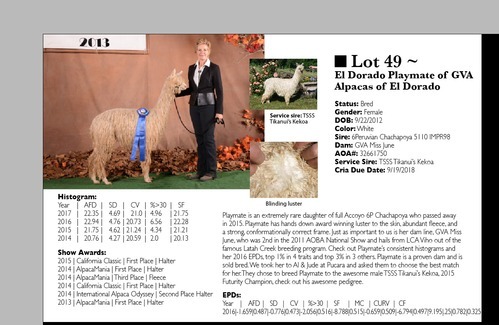 El Dorado Playmate of GVA bred to one of Pucara International Studs finest. Keep a look out for further information on her. Also, we have carefully planned our cria season and cannot wait to see them coming in the Spring and Fall of 2018. We wish everyone a happy and healthy New Year...we live by what we believe "YOU CREATE YOUR TOMORROW'S BY WHAT YOU DREAM TODAY".